Whether you're speeding around a regatta course or just checking the time until dinner, no superyacht owner's wardrobe is complete without one of the best sailing watches. 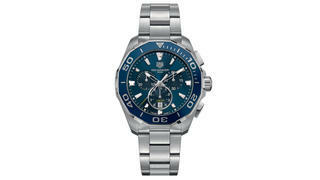 But with so many great yachting timepieces to choose from, how do you pick? We've rounded up the classics that every yacht lover should know about. 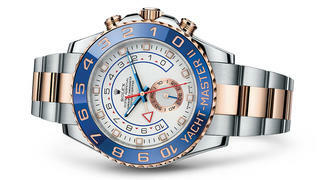 Designed specifically for professional sailors, the Rolex Oyster Perpetual Yacht-Master II is an icon of regatta racing. Incorporating the Oyster’s classic steel and rose gold bracelet, the world’s first programmable countdown for that crucial race starting sequence and a marine-themed Ring Command bezel which works in conjunction with the internal mechanism, this is the quintessential nautical timepiece. 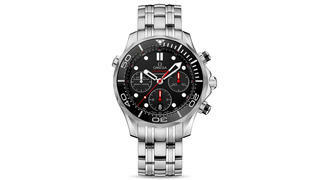 Perhaps best known as one of the best James Bond watches, the Omega Seamaster Diver has been relied upon by divers for accurate timing both above and below the water for decades. First launched in 1948 for the French Navy Seals, the current models have been upgraded with Co-Axial calibres, bold colours and new functions to create timepieces that offer both style and substance. 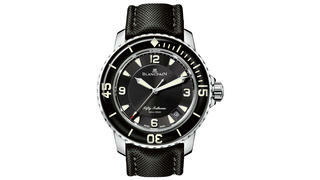 Released before either of its Rolex or Omega rivals, the Blancpain Fifty Fathoms is one of the oldest diving watches still available. It is now offered in no fewer than 30 models – including one of the best women's diving watches – but it is the Automatique version with its black barrenia strap reminiscent of the early 1950s models that remains a classic. Launched in 1982, the Tag Heuer Aquaracer may not boast the extensive heritage of other classic sailing watches but, thanks to its slightly less daunting price tag, is still one of the most popular timepieces on the regatta circuit. An understated aesthetic with either black or navy dials, and a no nonsense approach to functions that work effectively without unnecessary complication, make the Aquaracer ideal for the yacht owner who’s all business when on board. 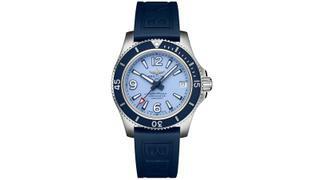 Better known as a maker of pilot’s watches, the Superocean may be the only sailing watch in Breitling’s stable but that does not mean it should be overlooked. Water-resistant up to a seriously impressive 500 metres, the latest additions to the line include models with smaller 36mm case sizes, brightly coloured dials and bold retro-styling - the Automatic 36 is one of the best. 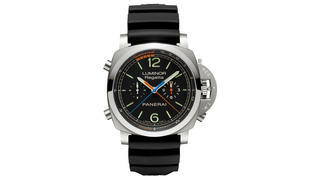 At 47mm, the Panerai Luminor Regatta is certainly one of the largest classic diving watches around. Sporting the retro shape and design of its mid-century ancestors, this timepiece may only be water resistant to 100 metre but what it lacks in air tightness it certainly makes up for in style. The large dial means room for oversized numerals with impressive luminosity as well as small seconds and chronograph hour counter sub dials.